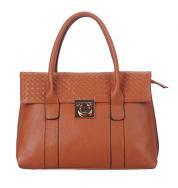 This elegant look bag is going to be the first choice of every fashion conscious woman. It has both the stylish look along with the perfect functions. 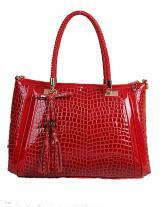 The beautiful representation of the bag enhances the fashion style. 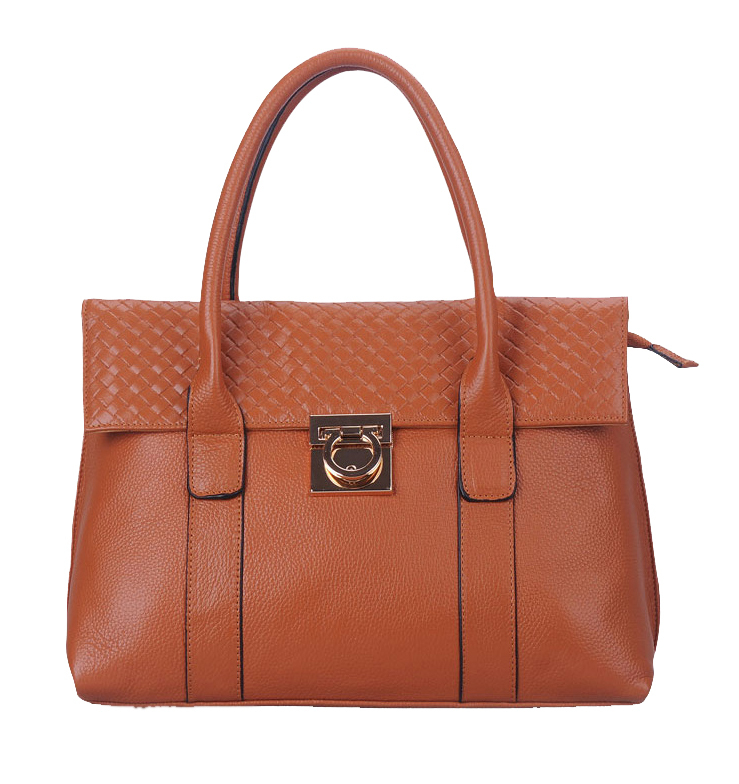 The nicely crafted woven bag has a flap secured which has a marvelous turn buckle lock to give a new and stylish look. The internal structure makes it spacious and the various essentials can easily be kept inside. 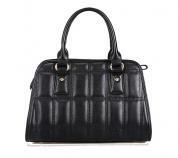 The protective metal stud gives a perfect shape to the bag. 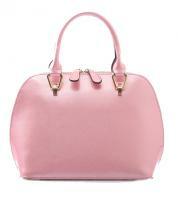 The attractive shoulder bag gives a perfect look and the attachable cross body bag gives an elegant look. 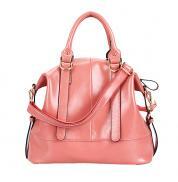 This stylish bag can easily be used as a shoulder bags or cross body bag. 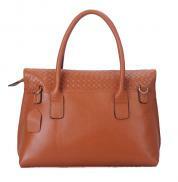 - Measurement L*W*H approx 34cm * 14cm * 24cm (13.4" * 5.5" *9.4"). - Color options: brown, rose red, blue, black. - Trendy and elegant style with great function and fashion. 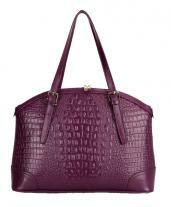 - Shoulder bags features woven flap secured with chic turn buckle lock. - Protective metal studs at bottom. - Internal structure: 1 zip pocket, 1 zip divider and 2 open pouches. - Exquisite workmanship and polished gold tone hardware. - Dual rolled shoulder straps measure 14cm drop. 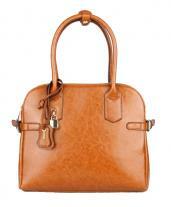 - Attachable cross body strap included.